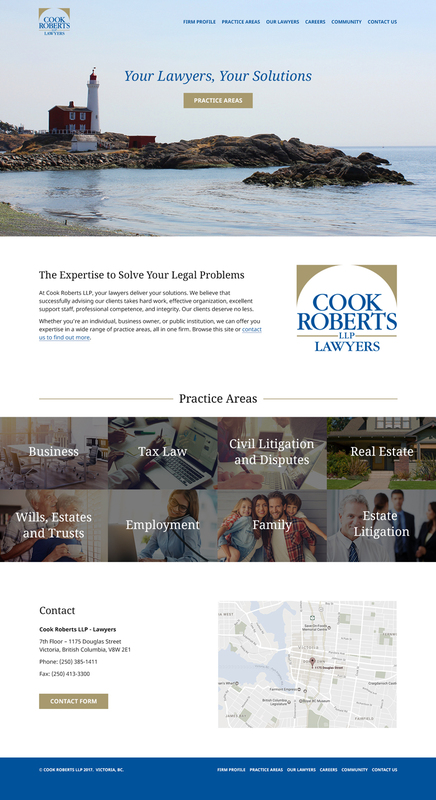 Cook Roberts law firm was in need of a re-design to update their look with something clean and modern. 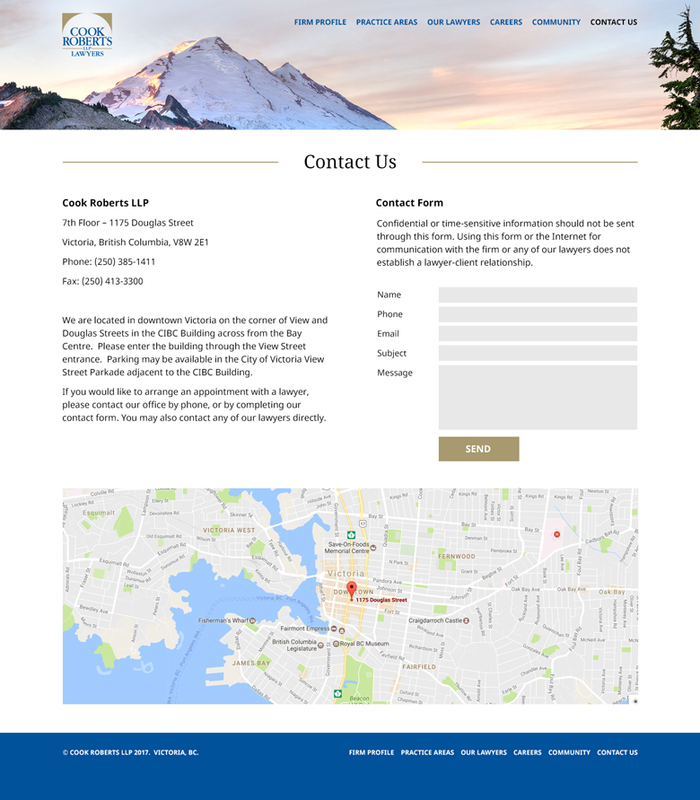 We balanced those requirements with a professional and timeless look. Local photographs compliment the new look and feel. The website is completely responsive and works great on all devices.